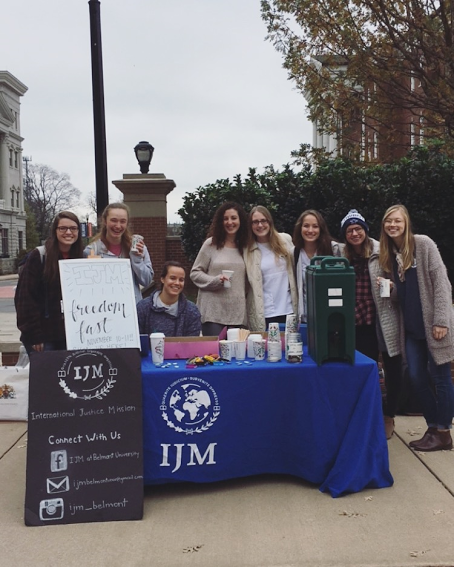 Belmont’s International Justice Mission (IJM) student chapter participated in a nationwide IJM Freedom Fest on campus November 10 & 11. The group raised more than $500, with the help of the Belmont community, to end modern day slavery. Across college campuses nationwide, IJM raised $30,000–which is enough to fund 5 rescue missions.